﻿Take a stroll down memory lane and remember those wonderful years you had in the band program....Explore pictures, stories and connect with former band members! How does Marysville Band compare to other bands in the area? You will be surprised by the answers! 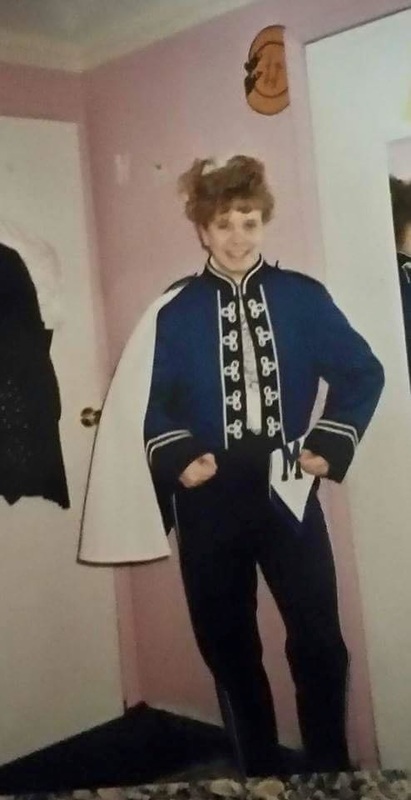 1987.....That was the date the current lot of Viking Regiment uniforms was purchased. That is almost 30 years of students that have worn the same uniforms! Our goal is to purchase a total of 225 new uniforms and we need YOUR help to do it! We only have until March to raise these funds! ​Don't live in the area anymore? No problem! 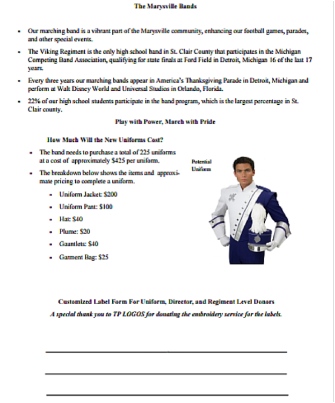 Click on the Paypal link and your donation will go right to the band program. One click is all it takes! No problem! 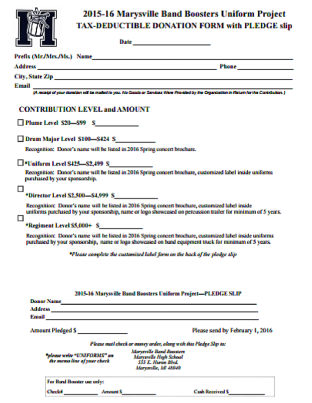 Simply click here to print the form below, fill it out and include with your check. ​It's even a tax deductible donation!